The crew of a Subsea 7 vessel off the coast of Equatorial Guinea have become an internet sensation thanks to their homemade music video. Aberdeen man Darren Flynn enlisted the help of his shipmates on board the BOURBON PERIDOT to perform Toto’s 1983 hit Africa while at sea off Luba. Now the video has become a smash hit on Facebook, with oil barrels, pumps and even fish standing in for musical instruments as the vessel’s crew mime to the song. 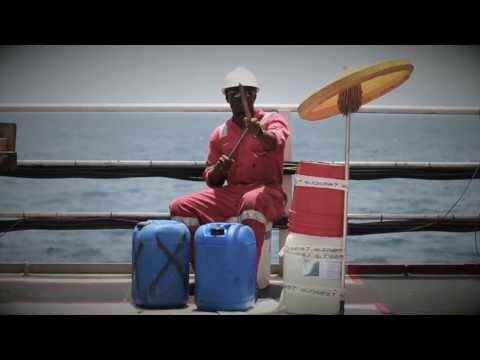 "Africa" by Toto, Performed by the Crew of the Bourbon Peridot, West Africa 2013. Our own version of the music video for “Africa” by Toto we made on our boat in Equatorial Guinea in West Africa. Thank you for the information, and off course the cert; it was a very good seminar and I enjoyed all parts, both seminar and social, from last weekend.